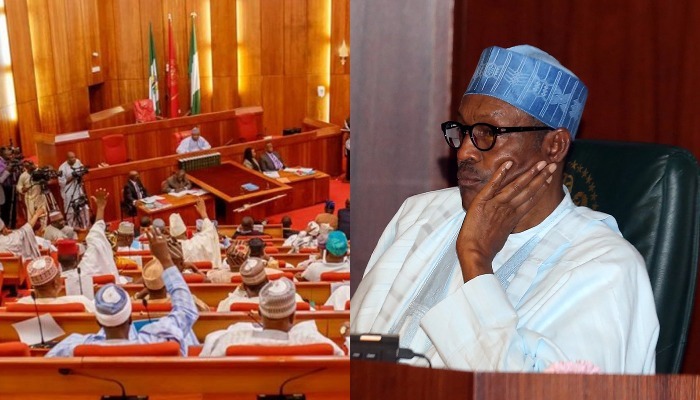 The sitting of the Senate was yesterday uproarious following a resolution to probe operation of an alleged $3.8 billion Fuel Subsidy Under-recovering Fund by the Nigerian National Petroleum Corporation (NNPC). The key players in the rowdy session were Majority Leader, Ahmad Lawan, his predecessor, Ali Ndume, and Kabiru Marafa. Trouble began when Minority Leader, Biodun Olujimi, sought investigation of the alleged account. She had reminded her colleagues that despite attempts to compel the oil agency to submit a budget to the National Assembly on subsidy payments, its management had instead allegedly opted for a funding line not recognised by parliament. She claimed that only two top officials in NNPC were directly in charge of the funds without oversight. He named them as the Group Managing Director (GMD) and the Executive Director in charge of Finance. Her words: “I need to bring this issue to the attention of the Senate. The NNPC is operating an illegal fund on subsidy. As true representatives of the people, we cannot sit back and allow this to happen. In his contribution, Ndume objected to the inclusion of members of the Marafa-led Petroleum (Downstream) Committee in the proposed probe, alleging that they may have been compromised in the line of duty. Apparently angered by the claim, Marafa said those canvassing a fresh panel were out to generate campaign funds ahead next year’s general elections. He insisted that Ndume must withdraw the statement and tender an apology just as the committee chair defended the NNPC and labelled the allegations as false. Consequently, the feuding duo were prevailed upon to retract their claims and tendered apologies. Ruling on the matter, Senate President Bukola Saraki mandated Lawan to oversee the probe, urging him to lead members of the Marafa committee to meet with the management of NNPC and ascertain the true position of things. Saraki said he didn’t want to politicise the issue, noting that it was too sensitive to be treated with laxity. He had barely finished his remarks when Lawan declined his nomination, saying he would not want his name to be rubbished. But he eventually mellowed when reminded by Saraki that he could not decline the assignment since he was the Leader of the Senate. He was therefore given four days to report to the chamber after which an ad hoc panel would be set up to probe the allegations. Also yesterday, the House of Representatives yesterday approved N831,259,220,255 for the Independent National Electoral Commission (INEC) and security agencies to prosecute the 2019 polls. The money is to be sourced from the recurrent and capital components of the special intervention programme captured in the service wide votes of the 2018 Appropriation Act. The amount includes the President Muhammadu Buhari’s July request for the virement of N242, 245,050, 100 from same purse. The approval followed the adoption of a motion by the Chairman of the House Committee on Appropriation, Mr. Mustapha Bala Dawaki, at plenary presided over by Speaker Yakubu Dogara. The beneficiaries were initially allocated N589,014,170,155 in the 2018 budget before the president forwarded his request for additional N245.1 billion.